From the impression I got, there is a rather limited amount of retail copies. Since VPG decided to outsource the printing instead of sticking with their in-house their print-on-demand option. I have mixed feelings about that. Thought POD was just fine, and I would've been quite happy with a POD version of Nemo's 2nd edition if it were up to their previous "big box" standards. This one looks great. I was just concerned that if I dragged my feet, and kept it on my wishlist for too long, the available stocks would inevitably run out, price would eventually start going up, and there would be a long time before a possible reprint. The usual problem with designer tabletop game purchasing. 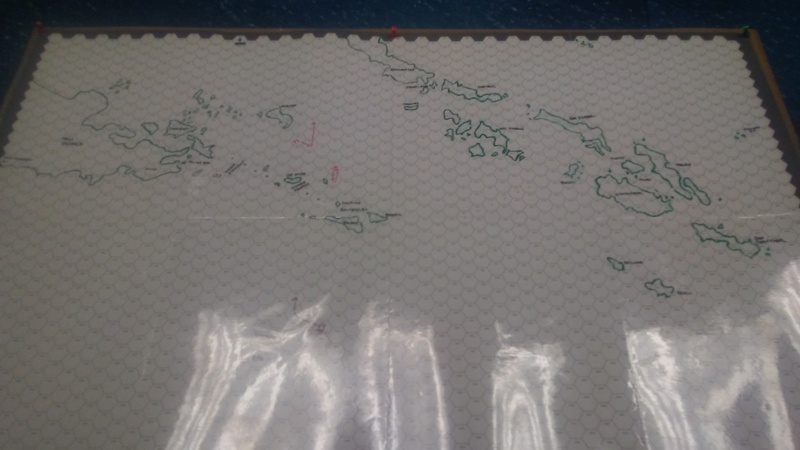 Pics from last week's play test of the Coral Sea game my group has been planning. This is was a large, double-blind game with 3 players on each side and 2 GMs. The IJN and USN players were on separate floors. Each side had it's own map for plotting ship movement and air searches. The GMs had a master plot with the exact locations of each side. The GMs resolved the plotted air searches and gave each side information accordingly. 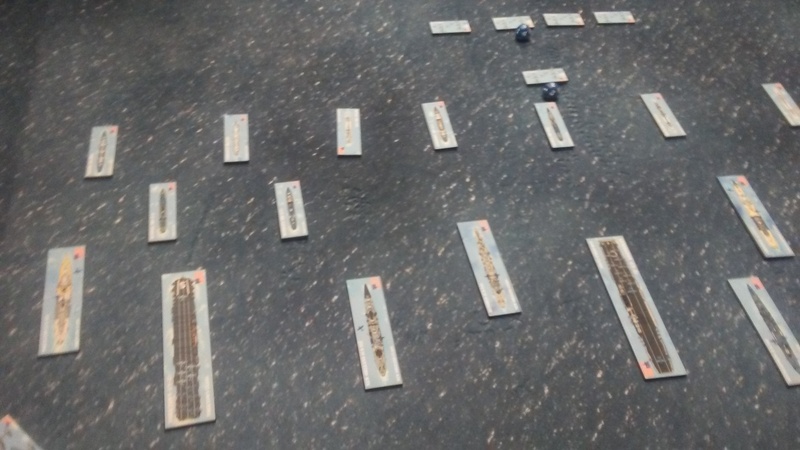 Once contacts were made, we fought the actions out on table using the Topside minis ships. The game lasted over 12 hours. We fought the raid on Tulagi, the Shoho group was attacked and sunk, and various small air battles were fought. In the end, the Japanese got the jump on TF 17 and launched a full strike of Vals and Kates. They had to send it in largely unescorted beacuse most of the Zeroes were on CAP and they didn't have time to recall/rearm them for the strike. The Japanese strike aircraft were decimated by the US CAP and AA fire. The strike went in though and Lexingtion took heavy damage that left her unable to recover aircraft. Yorktown took multiple bomb and torpedo hits, but was still afloat and able to conduct flight ops. 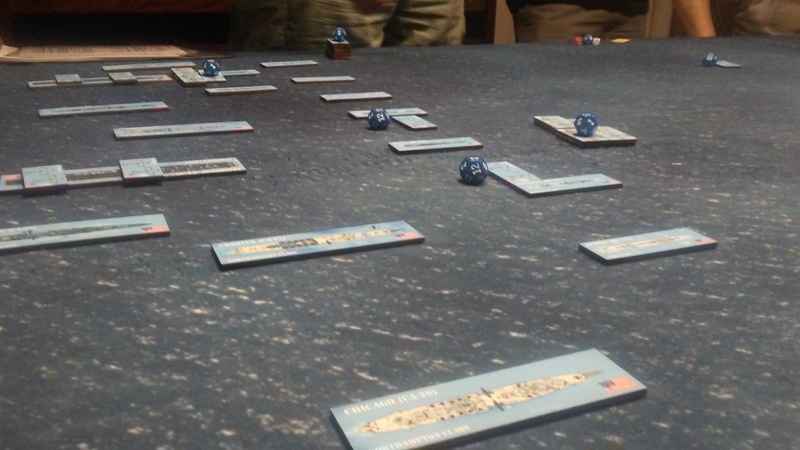 On the final turn of the game, a last, errant Japanese torpedo found the mark and tore the bottom out of Yorktown. With no carrier able to recover aircraft, the US planes still airborne were forced to ditch. The Japanese air groups were not in much better shape though and would have been hard pressed to conduct a second strike. As with the historical outcome, it was a Japanese tactical victory. However, the Port Moresby invasion force had turned back to Rabaul after the loss of the Shoho support group and the Americans achieved their overall strategic goal (at a much higher cost than historically happened). This is the map each side had. It is an enlarged version of the map from Avalon Hill's Flat Top. 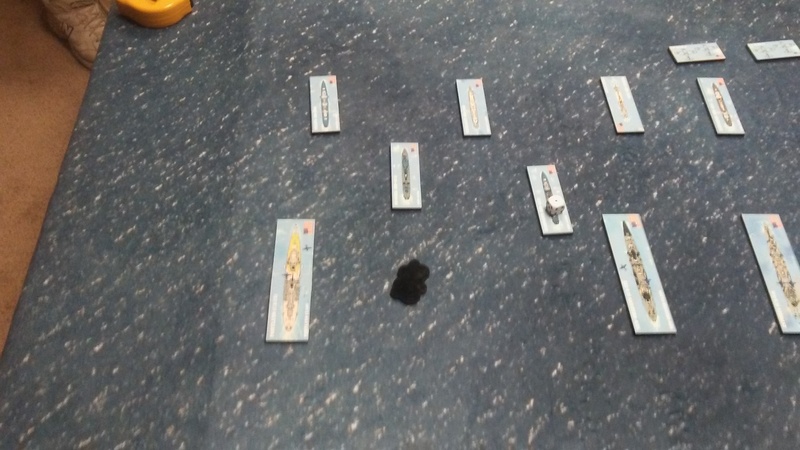 US Fleet at the start of the final battle. Yorktown is on the left, with Lex on the right. Low angle shot of US Fleet. Lexington was caught with most of her air group spotted on the flight deck and was frantically launching fighters into the air battle. Several Wildcats were hit by friendly AA once the escorting cruisers and destroyers started firing. Strike on the Lexington. Each of those two plane counters represents a 3-4 plane flight. 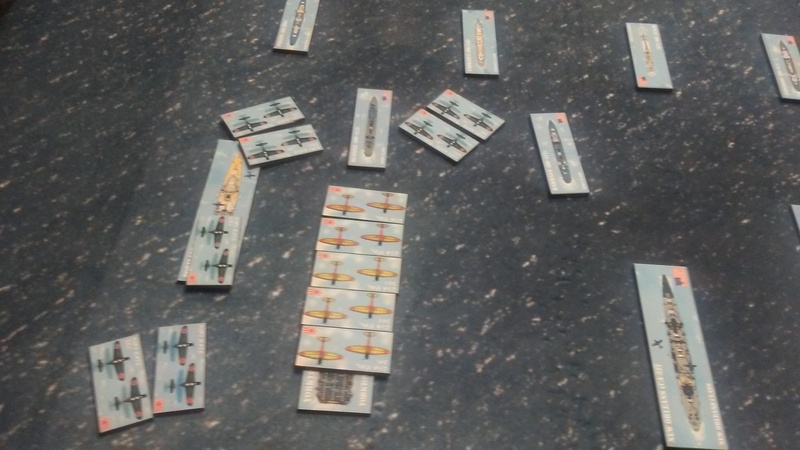 So that is a full squadron of Kate torpedo bombers executing a classic anvil attack. It was an impressive job by the IJN player, but it came at a cost of another entire squadron that was destroyed on the approach. You can also see the Wildcats trying to clear deck before the strike hits! Strike on the Yorktown. 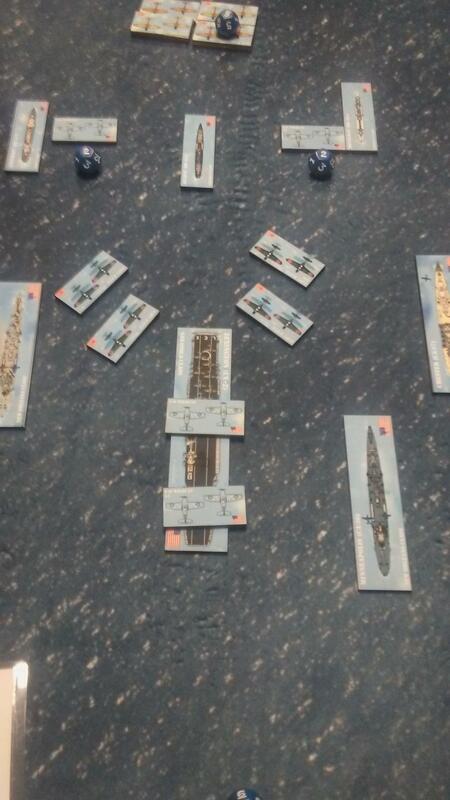 This time there are two full squadrons of Kates and another squadron of Val dive bombers blanketing Yorktown. It could not have been timed any better with the dive bombers arriving overhead at the same time the torpedo bombers started their runs. The American CAP had been drawn off by the few Zeroes escorting the strike. The Wildcats tore through the Zeroes, but left the carriers completely exposed. Aftermath of the attack on Yorktown. Despite taking multiple bomb and torpedo hits, Yorktown stayed afloat and operational until a last torpedo (which had been dropped at long range due to the intensity of the AA fire) hit her on the final game turn. It was an epic finish to an epic day of gaming. Looks cool. 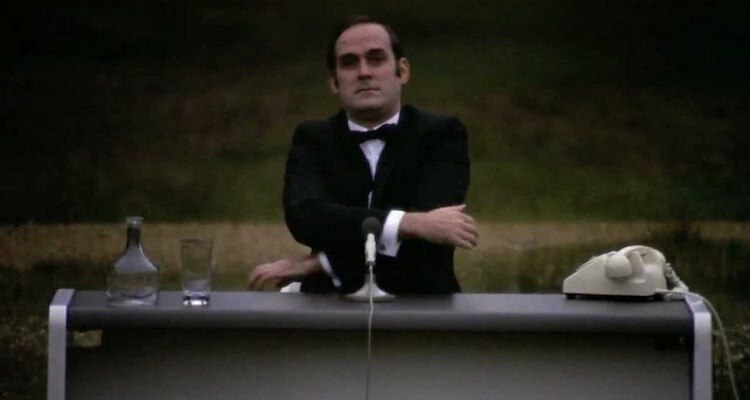 What rules did you use? General Quarters III. They worked very well. That looks like boardgaming at its best mirth. Uncertainty about what your opponents are doing, real people around you and a tense and exciting game to play. It's pretty intense. I was one of the GMs on this one. It was fun watching both sides sweat it out as they planned the searches, tried to time the strikes, etc. The post-game reports from the players were all positive. Based on that play test, we're running a somewhat streamlined version next weekend (not doing Tulagi and Shoho on table, basically fast forwarding to the main event). It will be interesting to see how a different group of players handles it. Just in, White Dog Game's N:The Napoleonic Wars by Ben Madison. I love Don't Tread on Me and can't wait to try this one! Sounds like I need to do an AAR.